Posted September 14, 2009 in Doc Savage, Jay Piscopo. 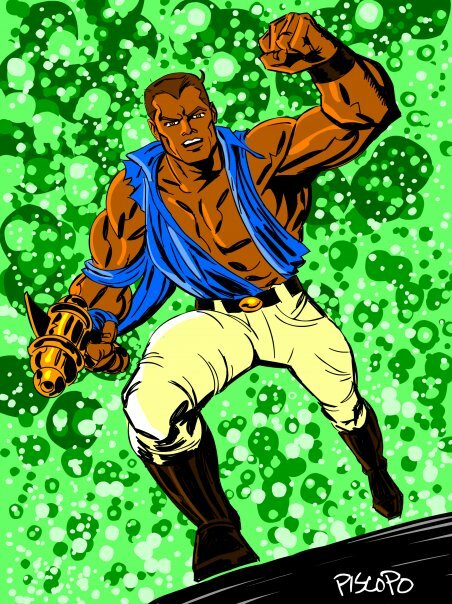 Portland based writer/artist Jay Piscopo poses the question, “What if Jack Kirby had drawn Doc Savage?”. Jay is the creator of the all-ages graphic novel series, The Undersea Adventures of Capt’n Eli. He also presents comics workshops for children, teaching drawing and storytelling techniques in schools and libraries. Find out more here.